Levy a substantial fine and disclose the amount to the public. Instead, all that’s likely to happen is that Ureña will take an extra day or two off before making his next start roughly as scheduled. 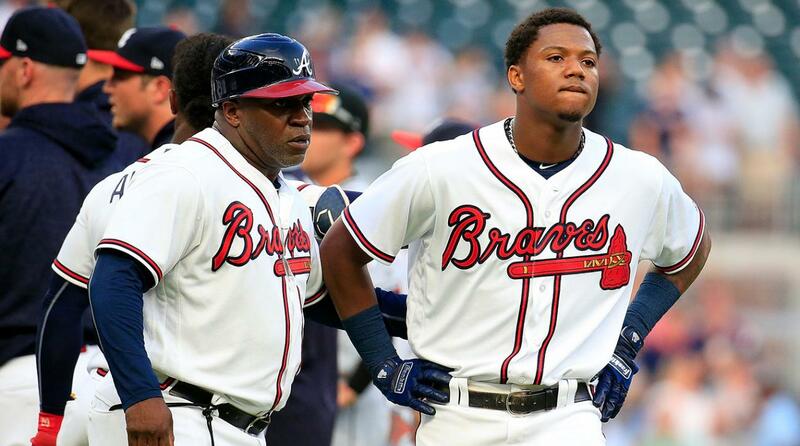 The good news is that the medical tests on Acuña yielded positive results and the rookie is back in the starting lineup tonight. As of this writing, he already has one hit and a stolen base. This entry was posted in ALDLAND and tagged atlanta, baseball savant, braves, derek jeter, jose urena, marlins, miami, miguel cabrera, mlb, rob manfred, ronald acuna by AD. Bookmark the permalink.